THE LOOP — Jim Pritikin hates to lose, especially when he's losing to a 700-pound bull ramming through his knee. It was 2010, and the Chicago lawyer was on his third trip to Spain. His three-year-old opponent, already 700 pounds, had spent its young life on a dusty ranch training to plow through professional bullfighters. Pritikin waved his muleta, but the wily bull came for his leg instead, shattering his tibia and fibula and tearing his meniscus. Pritikin didn't know he was hurt until he realized he couldn't stand up afterward. The scare didn't stop Pritikin, though. 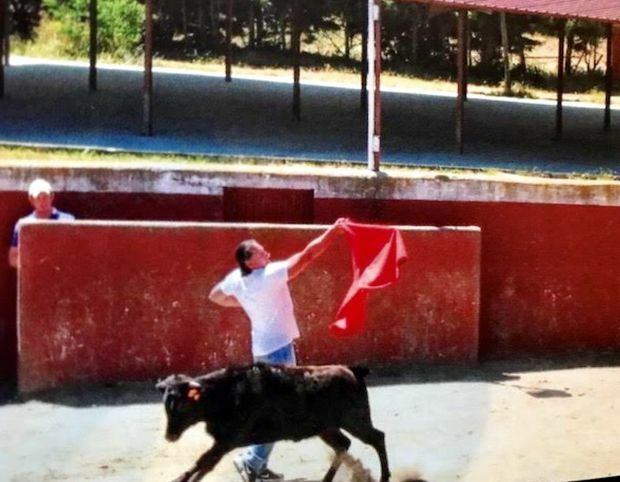 After a year of rehab he was back in Spain fighting bulls, like he has every year since his wife surprised him with a trip for his birthday 12 years ago. Some 78-year-olds like to go fishing. Pritikin fights bulls. "Would I recommend it to my children?" No," he said. "Would I recommend it to anybody else? Not unless you have the dream." Pritikin, a family lawyer who's represented Bulls star Dwyane Wade throughout his high-profile divorce, said he's making up for lost time. He got hooked watching Mexican bullfighters on TV as a freshman at the University of Illinois. Pritikin was enamored with the spectacle and wanted to pick up bullfighting himself, but his career and family soon took over his life. He finally got his chance to fight bulls at 66 years old, when his wife, Mary, surprised him with a trip to Salamanca, Spain. "All of those things you have to put on the backburner, the dreams that you had when you were 18 years old, but you don’t forget them," Pritikin, who lives in Old Edgebrook, said. "I always thought I could do it." Pritikin said he and about 10 others went to a ranch where so-called "fighting bulls" are bred. They take turns in the arena waving swords and twisting their bodies around the young bulls, some of which go on to fame at Las Ventas and other storied bullrings. 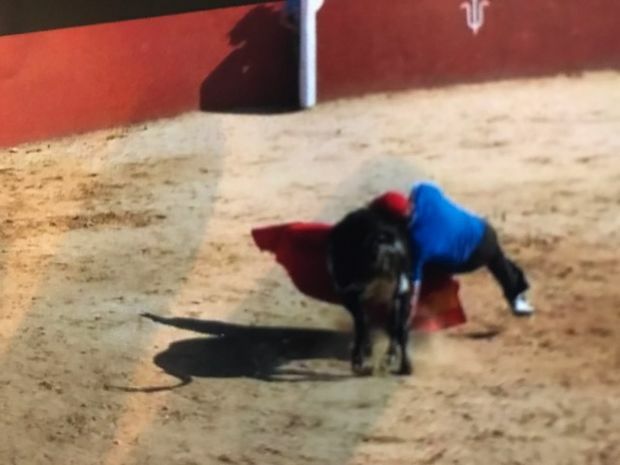 Bullfighting is similar to playing chicken: the bullfighter stands about 20 yards from the bull waving a muleta, or red flag, daring the beast to charge. When the bull does, the fighter has to hope he or she can twist their hips quick enough to make the bull run in circles without getting hurt. Each encounter takes about 20 minutes. 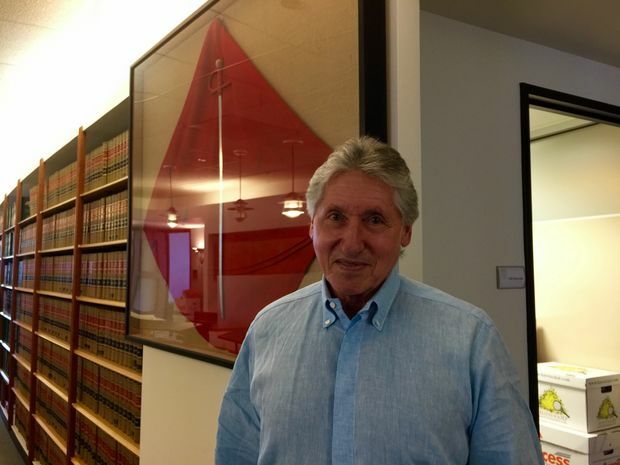 The principle applies to Pritikin's law practice, Beermann Pritikin Mirabelli Swerdlove LLP, he said. "It’s exactly the same. If you’re afraid of your opponent or you’re intimidated by your opponent, you’re going to lose," he said. "Every time is different, and every time is a challenge and every time is the unexpected." There's a muleta with bloodstains framed at his law firm's Loop office. Pritikin has gone bullfighting more than 10 times, but he still has goals. He wants to visit Seville and Jerez next year in Spain, where he's made bullfighting friends from around the world. Instead of Friday night TV, he keeps track of bullfights every day online. He said he's glad he finally got to realize his dream "because there's nothing worse than a life of regrets." Pritikin said his wife still supports his bullfighting, but there's a post-injury caveat now. "If I get hurt again I'm on my own," he joked. The moment when a 700-pound bull shattered Pritikin's left leg. He's gone back to bullfighting after a long rehab. "You ever ride a bicycle? Did you fall off? Did you get back on?" 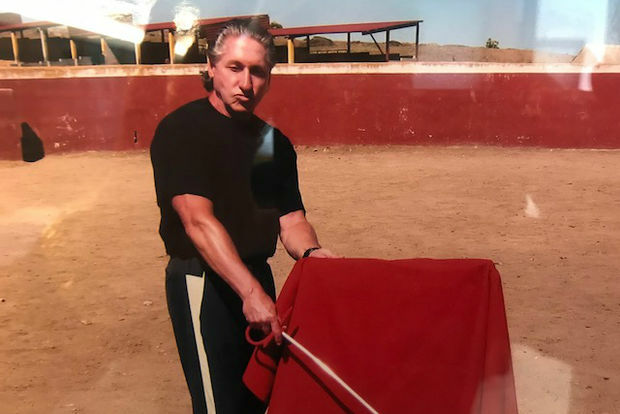 Jim Pritikin with a sword and muleta (flag) at a bull ranch in Spain.